BEACHFRONT IN PARADISE!! Super Cool Vintage Beach House on one of the Country's Top Rated Beaches!! Enjoy Fantastic Colorful Sunsets Every Day!! 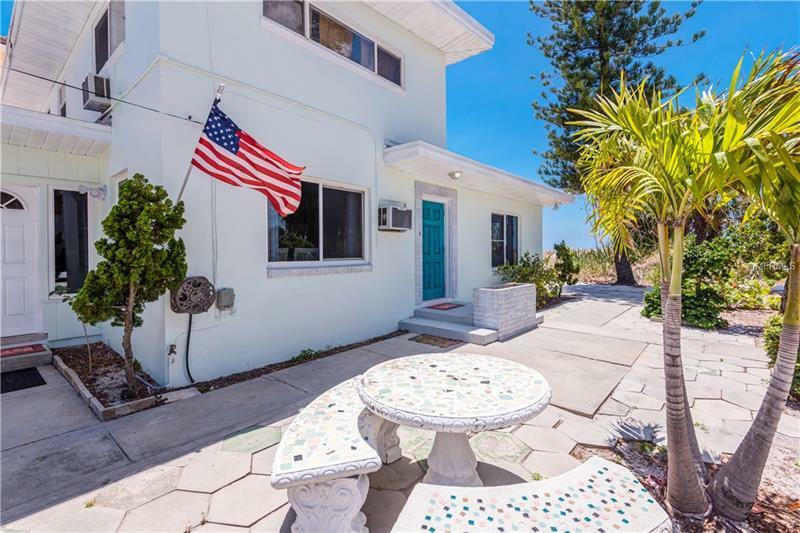 This Best Priced Beach Front Home sits on a Desirable (50x211) Corner Lot!! This Sturdy Concrete Block Home features 3 bedrooms, 3 bathrooms, 2 Living Spaces, Dining Area, Inside laundry, and a Spacious Kitchen. Roof and Electric have been updated. Gorgeous Original Terrazzo Flooring on the first level and Original Hardwoods on the Second Level. 2 Car Garage with a Workshop Area and plenty of off-street parking. This Beach House is Totally Turn-key, Move-in Ready including the Coastal Furniture and Decor. Outstanding Value for a Gulf Front Home!! Seller will consider financing 80% of the purchase price. Walk, Bike, or take the Golf Cart to the Don Cesar Hotel, Shopping, Restaurants, Parks, Public Boat Ramp, Publix, and Pass-A-Grille! Easy Access to the Interstate, Downtown St. Petersburg, Tampa, and Airports!! Fantastic Value for a Beachfront Property in Florida! !